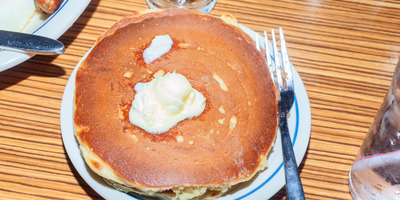 Hollis JohnsonDon’t worry: It doesn’t look like IHOP’s classic pancakes are going anywhere. On Wednesday, breakfast restaurant chain IHOP announced that it was changing its name to IHOb – sparking a lot of debate, and some very funny jokes, about what the ‘b’ could possibly stand for. That sign? 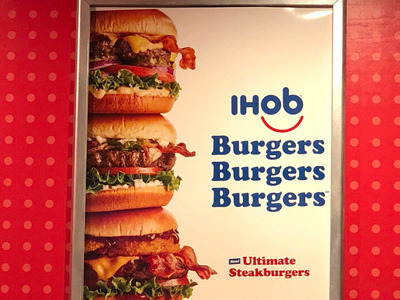 Literal signage by the cash register, with the same “IHOb” logo that the chain shared on social media during the week, followed by the words “Burgers Burgers Burgers.” It was pretty unambiguous. Matt Weinberger/Business InsiderThe sign is pretty clear. 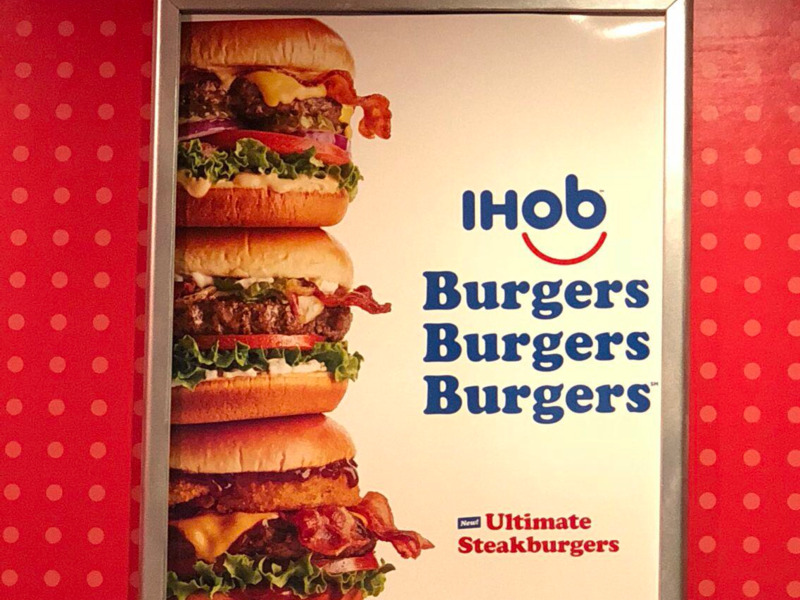 And while I didn’t get a shot of the menu, the IHOP I visited had a specials board with a bunch of seemingly-new burger options. However, IHOP fans should take heart, as it doesn’t seem like the chain is eliminating its trademark pancakes altogether. Right next to this sign was another with the classic IHOP logo, declaring “Pancakes Pancakes Pancakes.” So this change may not be as dramatic as some have feared. I WAS JUST MADE AWARE OF NEW IHO??? ?️ INSIDER INFORMATION. In case you were wondering, I didn’t get one of the new burgers. I’ve spent my entire life silently judging people who don’t order pancakes at IHOP, and I don’t intend to stop now. IHOP declined to comment for this story. According to its social media accounts, IHOP will officially reveal the meaning of “IHOb” on June 11th.